Revan is the Managing Principal Head of Financial Market Sales for Standard Chartered Bank across West Africa and based in Lagos Nigeria. His responsibilities involve the provision of derivative solutions in managing currency, rates and commodity exposures and has worked with a number of multinational & local corporations, financial institutions and various public sector organisations. 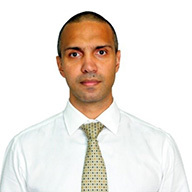 He joined Standard Chartered Bank in 2006 in the United Arab Emirates and moved into Nigeria in 2010. Prior to that, he has worked in South East Asia and Australia giving nearly fifteen (15) years of experience in emerging/frontier markets.